Me blog about meself! Ramblings of blacksmithing, sailing, and my general work around my place! BE SURE TO CHECK OUT MY BLOG PAGES IN THE WHITE LINKS ABOVE!!! 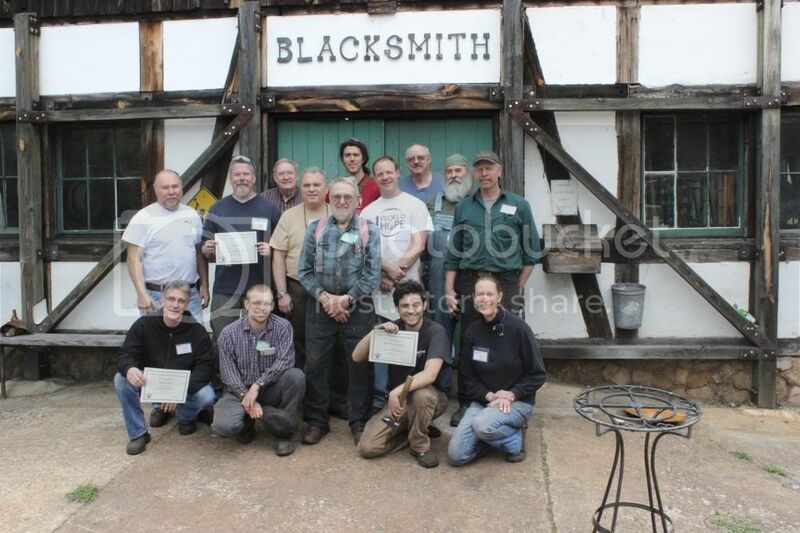 As many of my faithful readers know, much of my instruction and learning in the world of blacksmithing, has come through the John C. Campbell Folk School in Brasstown NC. One of my main teachers there is Mr Clay Spencer, a well known, talented, and experienced smith. 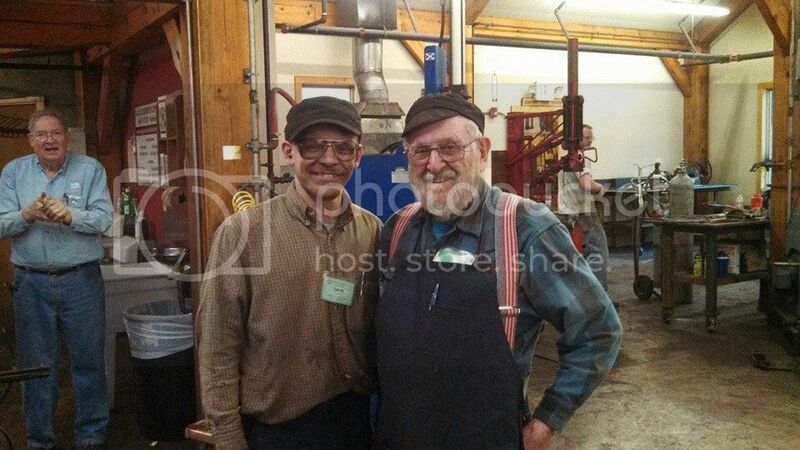 The new John C. Campbell blacksmith shop is actually named after Mr. Clay. A few months ago, Mr Clay emailed me and asked me to be his assistant instructor for his advanced level, traditional joinery class, at the folk school. I was able to accept and thus helped him teach the week-long class. We had a split class. I helped half of the students build a traditional joinery table, while Mr Clay helped the other half of the class make a traditional steel chest. It was great fun, and a real honor, to be able to try to fill the position of assistant. Here are a few quick pictures. Traditional joinery class with Clay Spencer, 2014. The table, my half of the class made. 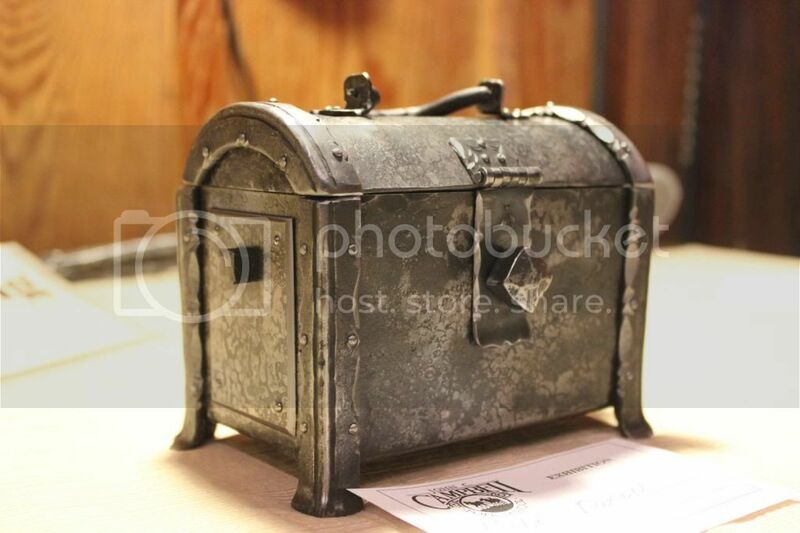 The chest that Clay's half of the class made. And here is a picture of me with the master himself, Mr Clay Spencer. My name is Dave! I am a self-employed artist blacksmith of five years experience. 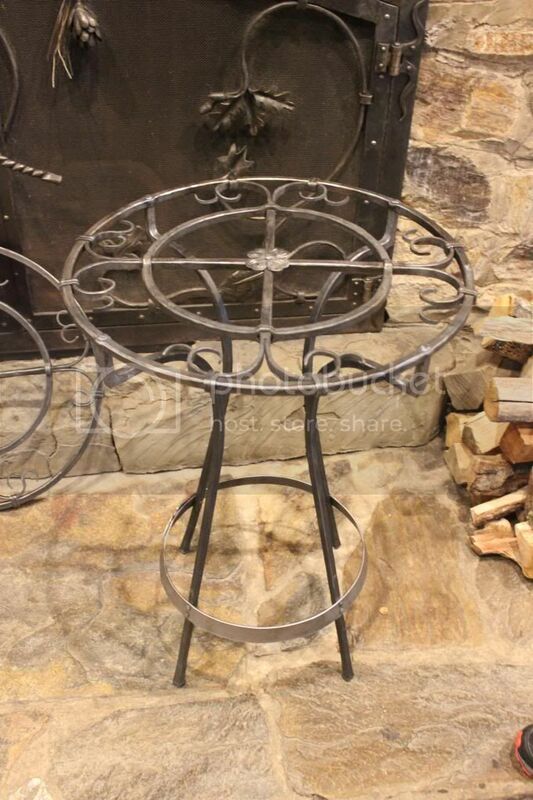 I do custom iron work using traditional methods. Blacksmithing is a hobby for me but it is also my job...I love it! I also enjoy sailing. I currently have a 16-foot single sail, racing boat. I am wanting to sell it and build a traditional wooden sail boat. I am a very conservative Christian and I attend an Independent, Fundamental, Bible believing Baptist church. I believe that the King James Bible is the perfect, holy Word of God!